OurHood is dedicated solely to building stronger, and better connected neighbourhoods. It’s a social network just for neighbourhoods and it provides a digital platform that is on mobile, web, and app (available to download free on App Store and Google Play) for neighbours to communicate and will encourage more interaction between residents of clearly-defined areas. 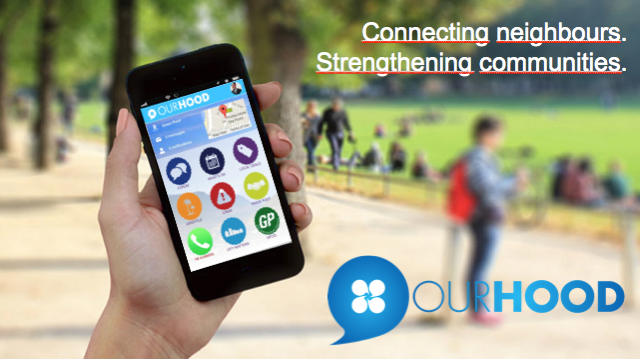 So where Facebook is for social interactions, OurHood is for neighbourhoods. Share lifts, advertise events and organize activities etc. OurHood has over 1000 live sites in South Africa, including Green Point, Oranjezicht-Higgovale and is growing quickly. We have partnered with the Green Point and Oranje-Kloof CIDs who are big supporters and use Ourhood to help communicate to their residents. Find out more about OurHood on 2oceansvibe, ventureburn and YouTube. Please sign up and join OurHood today. Alternatively please email info@ourhood.co.za for more information.